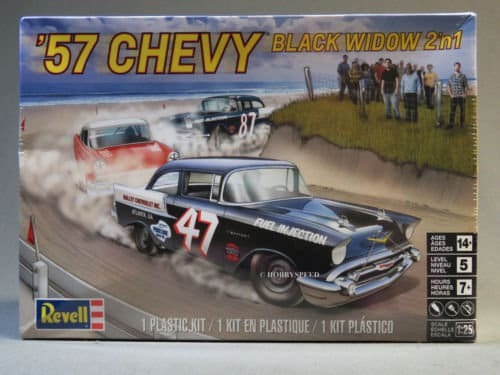 Celebrate your infinite love for vintage finds with 1957 Chevy Black Widow Model Kit. This cool kit features the parts and pieces necessary to build a 1957 Chevy Black Window with your own personal flair. Assemble, display, and complete your collection!